So we have all heard the saying an apple a day keeps the doctor away, but what does that mean. What is it in an apple that keeps the doctor away? What makes them so great for you? They will help to keep you regular. Apples are full of deliciously helpful fibre, fibre helps to “keep things moving” as well as bind things together, so if your problem is going too much or not going enough apples might just be the thing your body is waiting for. They help to lower cholesterol, the pectin in apples helps to lower your cholesterol levels by lowering insulin secretion. They are low in fat. Coming in at 50-80 calories an apple these fibre filled treats are a great way to satisfy hungry and cravings while sticking to your weight loss or management goals. They are full of vitamins. This is definitely something to consider during the winter months, apples are full of vitamin A and C which will help to keep your immune system strong and you healthy. They can help to prevent cancer – some of you might be seeing a pattern here, it seems that most natural fruits and vegetables have, in some capacity, the ability to curve the likelihood of cancer. Well that is no different for apples, studies have shown that the peel of the apple contains several compounds which may help reduce the risks of liver, breast and colon cancer. They may help you breath better, it is most likely caused by the antioxidant called quercetin found in the skin of apples. It is suggested to see potential lung capacity benefits from apples that you would need to eat at least 5 a week. 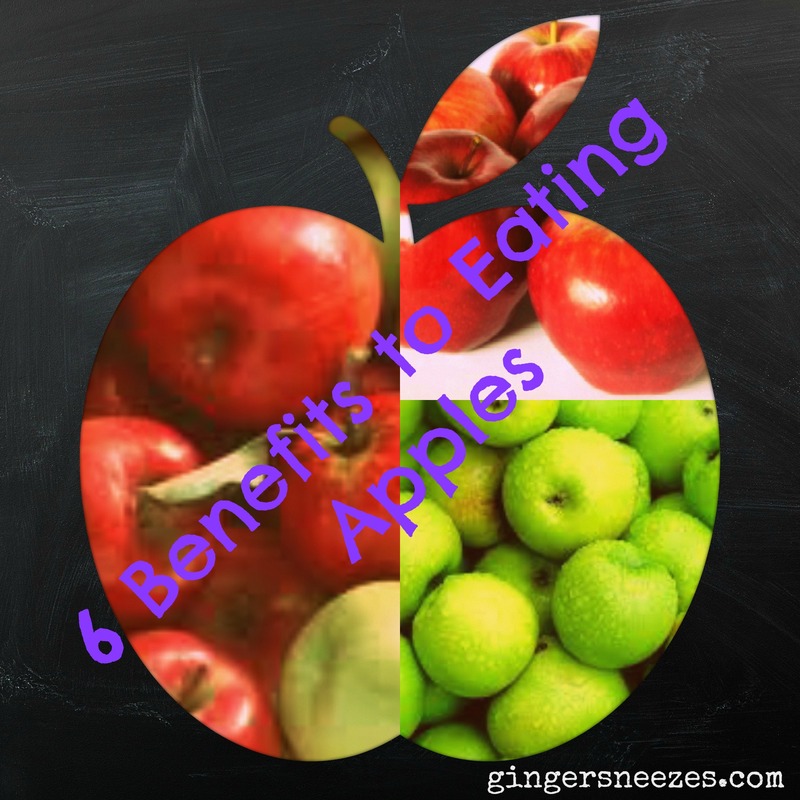 I hope these six reasons are enough to get you out there and buy some apples to work into your meal plans. Apples are one of my favourite mid-morning snacks. I always find that they give me an extra boost and they keep me satisfied until it is time for lunch. Speaking of apples I recently dropped my phone in the toilet (classy I know) and dispite my best efforts it looks as though it may be on its way to phone heaven. I have one last stop at the apple store to see if they will take pitty on me and cure it or maybe just from the kindness of their hearts give me a new phone. So wish me luck! Happy Friday everyone, I hope you are a looking forward to a great weekend. I know that I am! This entry was posted in Food, General and tagged apple, cancer fighting, fibre, fruits, health, healthy-living, lungs, natural, organic, vitamins by healingginger. Bookmark the permalink.